Tom Blackmore will be playing the role of Brutus in Cleopatra – A Musical in May. and lover is brought back to life in a musical with a soaring and lavish score by Lyndon Samuel ( ‘Ghost Story’) and book and lyrics by Robert Gould (‘My Land’s Shore’). ‘Cleopatra’ The Musical focuses on Cleopatra’s conflict between her desire for power and her need to be loved, the dramatic war-torn politics of the times and the tragedy of the two men (Julius Caesar and Mark Antony) doomed by their love for her. This intimate concert performance of the show directed by Brendan Matthew (‘My Land’s Shore, ‘The Hired Man’, ‘The Kissing Dance’) will be an opportunity for an audience to see and hear a brand new musical in development. Maya Nika Bewley and Eoin McKenna have been cast in the next run of Newsrevue at the Canal Cafe Theatre performing from February to April. NewsRevue, the world’s longest running live comedy show continues at the Canal Café Theatre every Thursday – Saturday at 9.30pm and Sundays at 9pm. A fast-moving mix of sketches and songs, NewsRevue propels you through the world’s news and current events at breakneck pace – all-kicking, idol-burning comedy, updated every week by a crack team of writers. 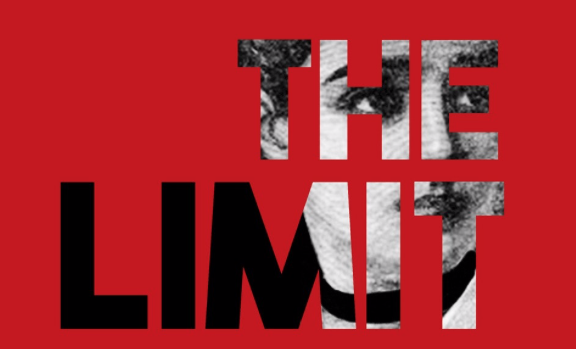 Rachel Delooze has been cast in the role of Sophie’s Mum and Ensemble in the musical The Limit at The Vaults Festival in March. Cassandra Hercules has been cast in the role of Sharon in the production of Hell Yes I’m Tough Enough at The PARK Theatre. Political leaders Ned Contraband and David Carter ruthlessly battle it out to get into government. Whether it’s propaganda, ridicule, hacking, leaking, bullying, blackmail, coalition or negotiation – no tactic is too low. Which party has the best pitch? Who do we set up for failure? Why are we in this situation in the first place? And who is this peculiar janitor talking in riddles? One thing is clear: the system is very much broken. But who’s going to fix it? 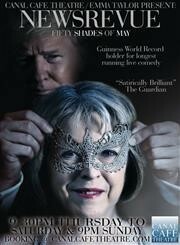 Hell Yes I’m Tough Enough is a political satire by Fragen Theatre Company taking a tongue-in-cheek look at the unjust, corrupt and farcical pantomime that is British Politics. A relentless, fast-paced, hysterical, crude, offensive, passionate, visceral and oh so English comedy that will leave you wanting to grab a placard and take to the streets!